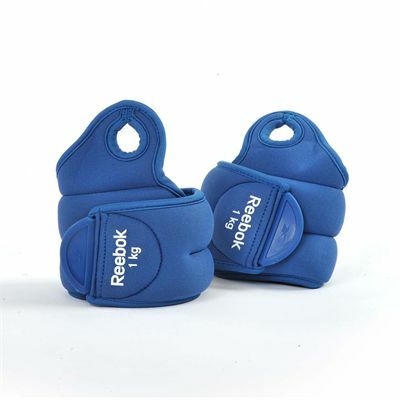 The Reebok Elements wrist weights are soft to touch and incorporate easily adjustable Velcro straps. They have a super quick on/off design and are fitted with a unique thumb lock feature for comfortable and safe use. These blue weights weigh 1kg (2.2lbs) and add extra resistance to each workout. In addition, they are manufactured from neoprene and supplied as a pair. for submitting product review about Reebok Elements 2 x 1kg Wrist Weights.